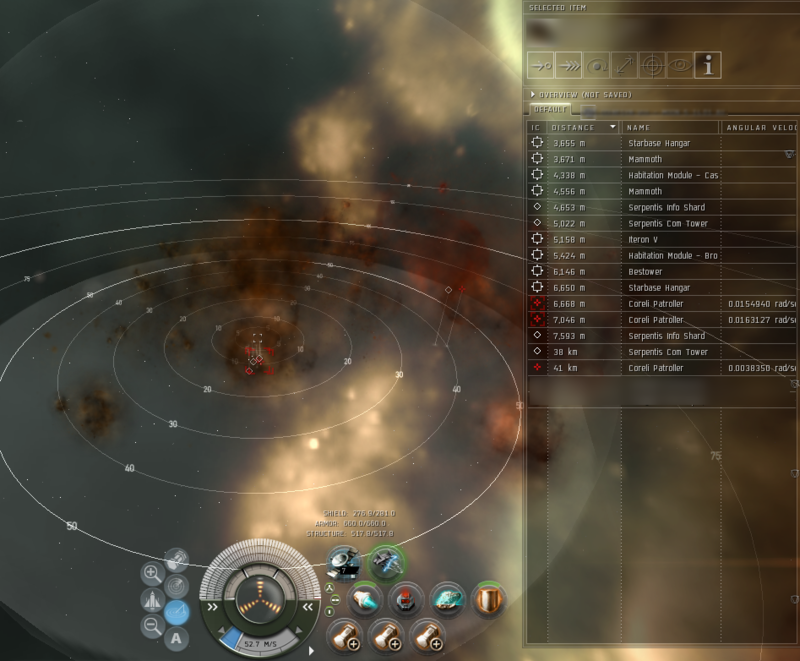 Tier 4 High-sec Serpentis hacking site. Contains 4 hackable objects. Formerly (pre-Apocrypha) known as Profession - Hacking - Base 4 - Hi Sec - Serpentis. A myriad of technological marvels inhabit this area of space, the physical guts of a powerful and well protected computerized network. A codebreaker module will be invaluable in uncovering the secrets that are likely hidden here, locked away inside data vaults and heavily encrypted digital networks. Group A: 1-2x [F]Serpentis - destroying them spawns group B, which in turn spawns group C.
Proximity to one of the shards calls in group D and sometimes, later, group E.
Group F: 1-2x [F]Serpentis - destroying it spawns another Serpentis frigate (or two).